Maritzburg United returned from the Free State with a point after drawing 1-1 with Free State Stars on Saturday afternoon. United were 1-0 up at Goble Park within two minutes after Kwanda Mngonyama did superbly to turn home Thamsanqa Mkhize’s cross. Ea Lla Koto nearly drew level in the 11th minute, but Moffat Mdluli’s long range shot went narrowly wide of goal, with Bokang Thlone also going within inches for the hosts. Stars finally drew level 11 minutes into the second half when Moeketsi Sekola finished well after running on to a long ball from the back. The goal stirred the Team of Choice back into action and Khumbulani Banda forced Stars keeper Bruce Mtshali to turn his powerful effort around the post. 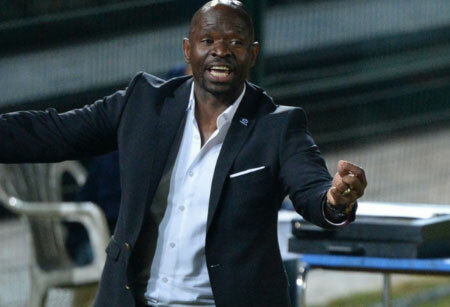 Both sides gave it their all to try and clinch all three points in an intense final 10 minutes, but the scores remained locked at 1-1 to ensure that Maritzburg moved to eight points from their five games this season. 1-1 with FS Stars on Saturday .